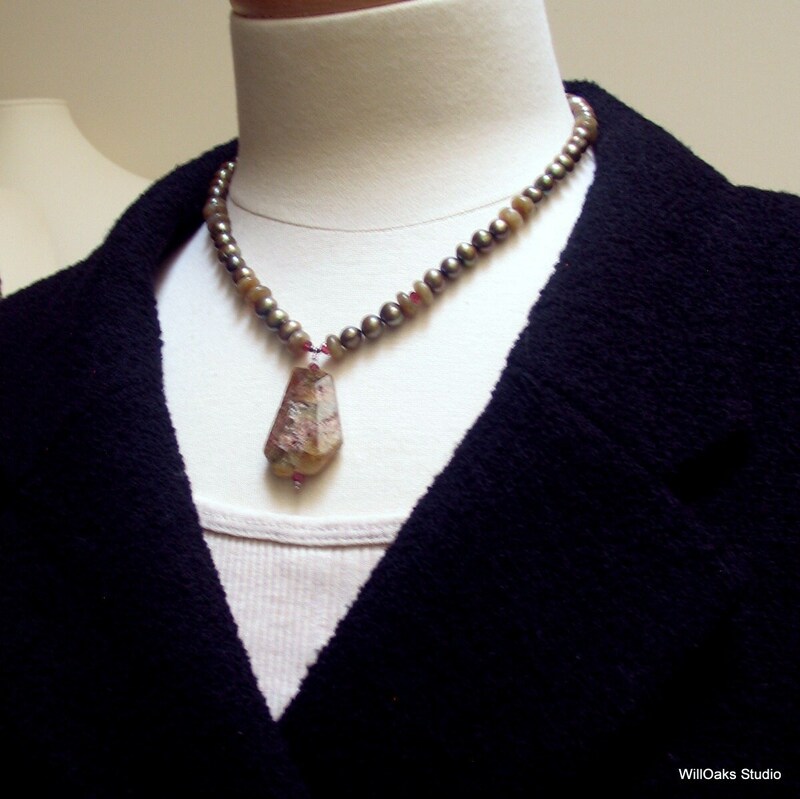 A gorgeous artisan necklace in shades of natural olive green. 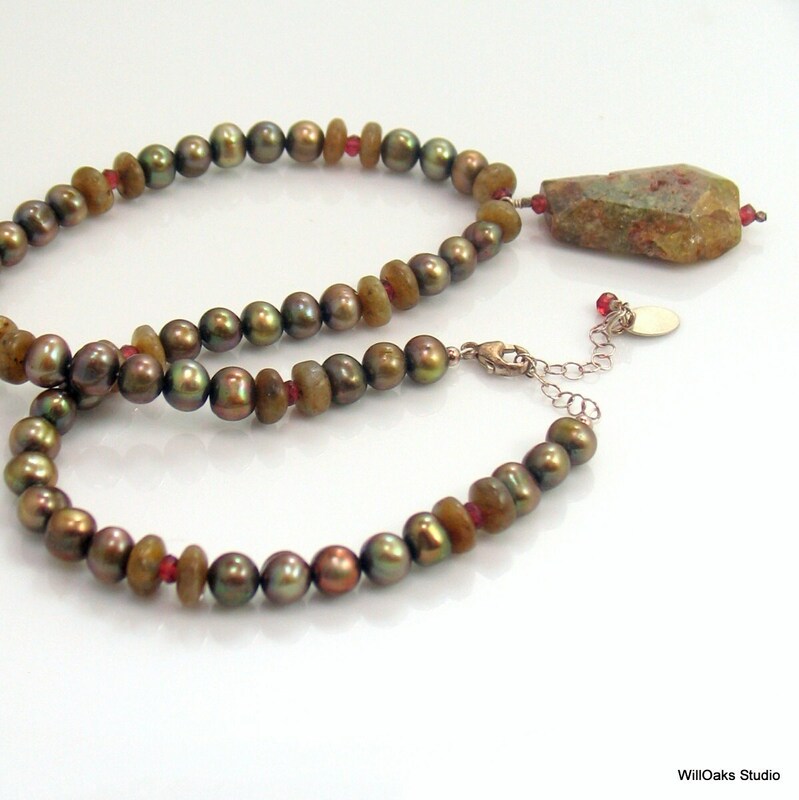 Created from a mix of semiprecious materials including freshwater pearls, labradorite, and garnets. 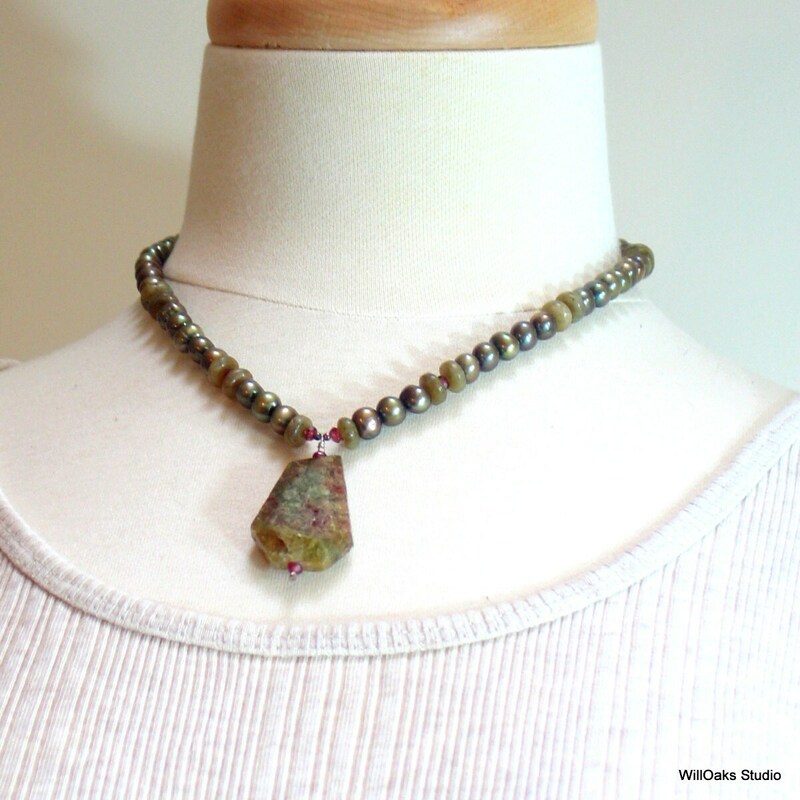 The focal point is a large freeform polygon faceted Rich green garnet or grossularite pendant with sparkly crystals of pink as parts of the surface are of the rougher, druzy crystal quality. 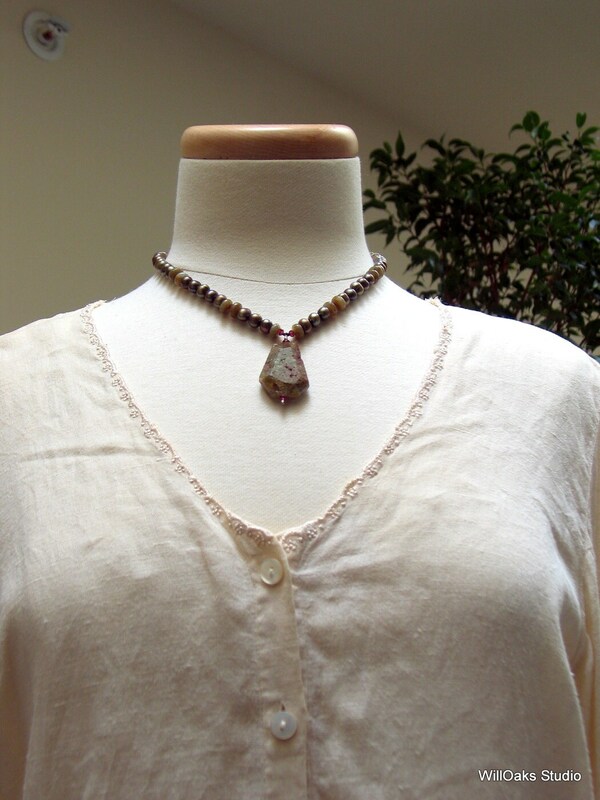 Including the sterling wire wrap and some faceted red garnets, the pendant is 1 3/4" long. 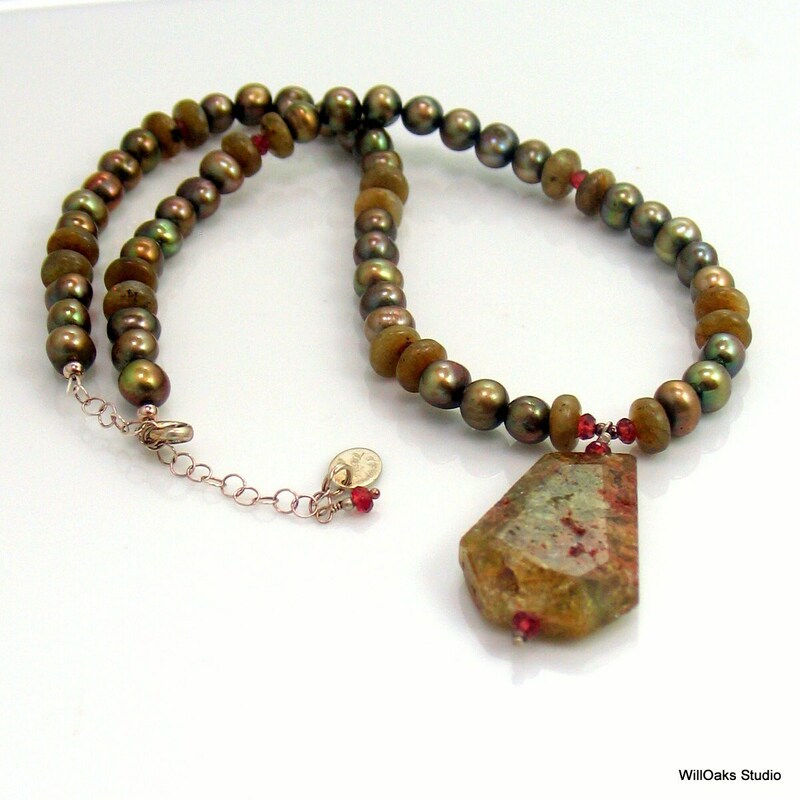 This original necklace, 17" long with a 2" extension chain, is a delightful mixed pattern of 8 mm green freshwater pearls, natural labradorite smooth rondelles and smaller red garnets. Sterling silver is used throughout the chain, clasp and other silver parts. I added a special small sterling charm that has my "signature and 2007" because I made this necklace before I started my current business as "WillOaks Studio." The tag and a wire wrapped garnet dangle from the end of the 2" extension chain. It's an exquisite collection of stones and pearls that is one of a kind, bold and refined. Ready to mail in my signature jewelry box, and all ready to gift. Shipping includes insurance. Please keep in mind that although colors are photographed in natural light, colors on different monitors may be variable.